Here at Sensational Color, ideas for new and interesting color palettes comes easily. We either close our eyes and imagine beautiful combinations or open our eyes to the gorgeous schemes in the world around us for inspiration. To give you a peak into our heads we’ll be putting together a series of color schemes inspired by things I enjoy. I hope you like this colorful addition to the information we share and gain the inspiration to create your own beautiful color scheme. You may often see advice telling you to begin your decorating project by looking for inspiration. I don’t recommend this as the first or even second step in the process. You can’t pick a color scheme out of context. Take time to closely look at what you are working with in your space and set the direction for where you want to go. 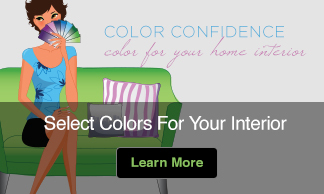 Then you can start looking for inspiration to help guide you find new colors that will work with your existing furnishings or permanent elements in the room. 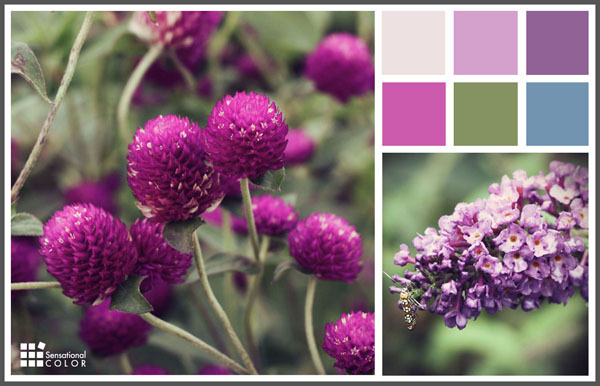 Here are a few tips for thinking about color and inspiration pieces. For example, the designer or owner decided on a scheme of different tones of yellow-green for this breakfast room and adjoining family room. The color works well with the warm wood flooring and white trim. 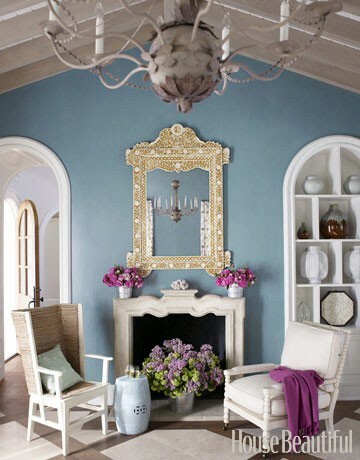 If you have a single color you want to use as a main colors take a few cues from this room. Notice how the green of the chairs and the family room walls in the background don’t match exactly? Colors that are similar but slightly different (lighter/darker, slightly warmer/cooler, etc) can blend rather than match exactly are more interesting and engaging to the eye. Once you have an idea of the main color you want to work with you might also know just the accent colors for your room but what if you aren’t so certain? This is when an inspiration piece can help you. Start looking around, not for things to buy but rather just to see it in other context. I know once I get a color in mind I start seeing it everywhere I go. Keep your eyes open and you may be amazed at how many places you color pops up. 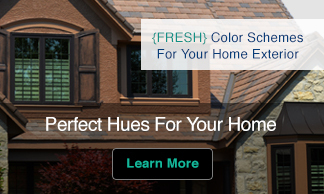 Look at what other colors pair well with the color you have in mind. Look closely at the combinations that grab you. This is a great way to find a combination you may never have considered just by playing with color swatches. In the three rooms above red-violet may not have been the first color that would jumped into your mind when looking at the main colors in the scheme but in each cases the colors is a brilliant choice.